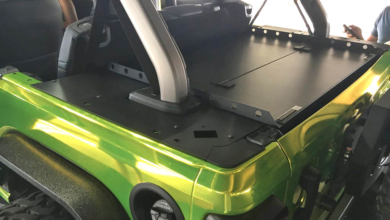 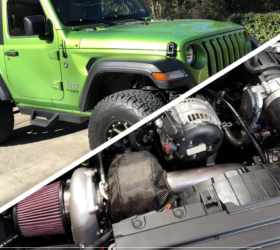 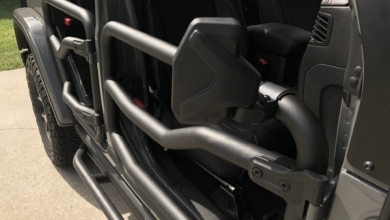 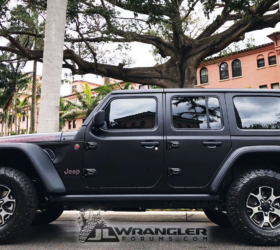 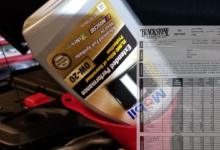 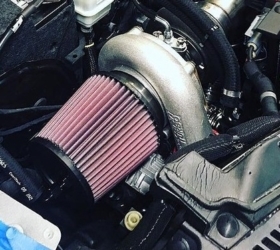 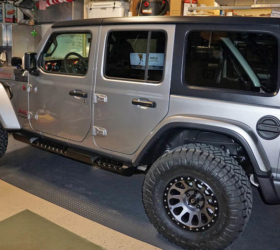 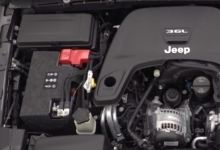 Although Jeep now offers several bright colorful colors for the JL Wrangler, JLWF member mnrafter decided he wanted something totally unique and off the wall – a matte purple Jeep! 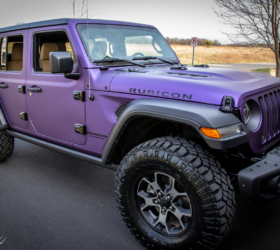 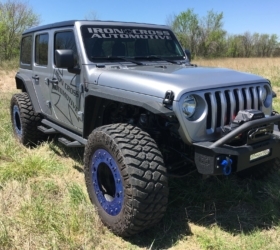 He would accomplish this by having his fully optioned JL Rubicon wrapped in purple vinyl, which not only changes the looks but also helps protect the original factory paint. 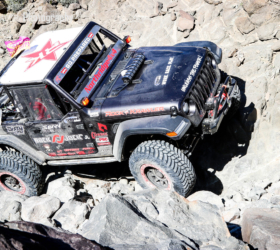 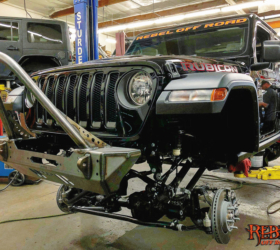 It was a thorough wrap job as nearly every exterior parts of the Jeep was removed in order to wrap edges. 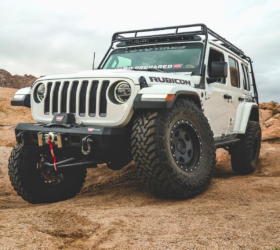 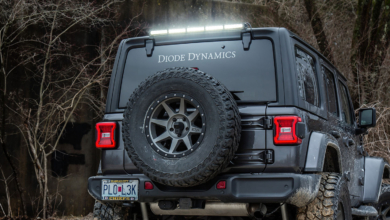 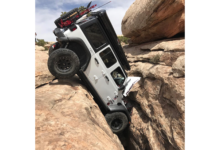 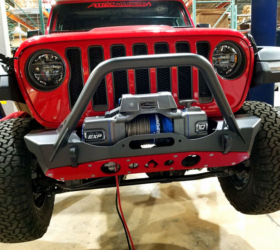 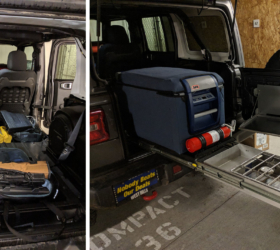 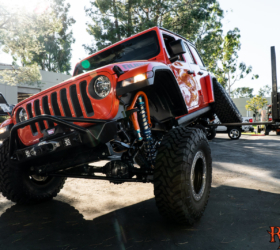 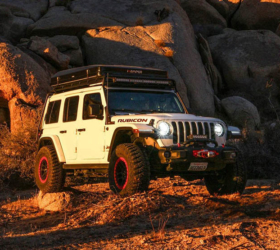 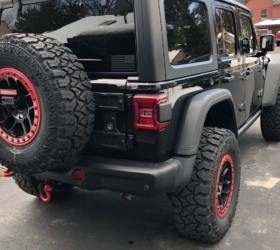 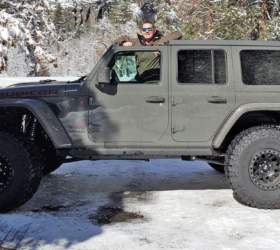 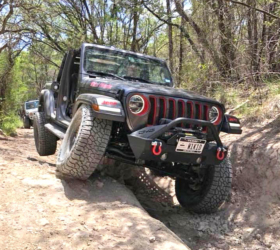 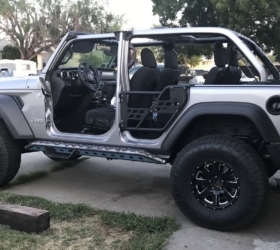 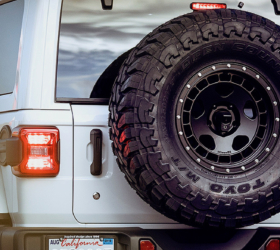 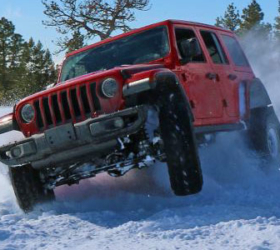 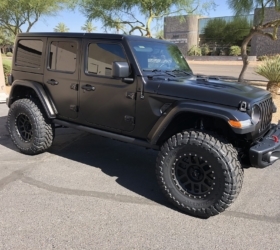 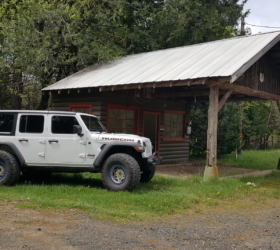 Other mods so far include 35″ tires, (Goodyear Duratrac 315/70R17), winch, grille guard hoop and 7″ Mopar OEM lights/mounts, tailgate reinforcement, CHMSL relocation kit (brake light), and the oversized spare tire carrier. 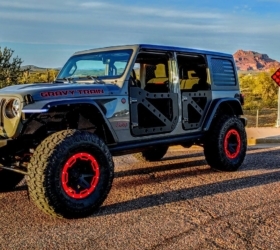 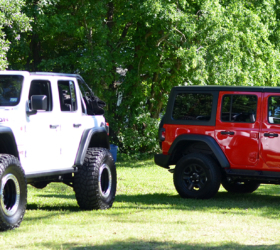 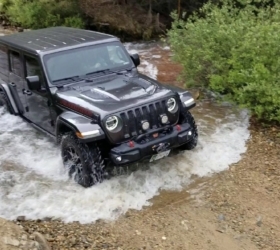 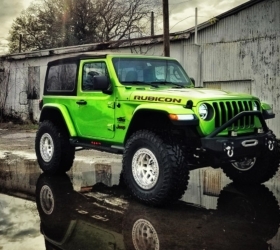 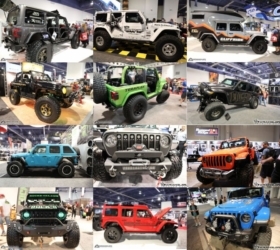 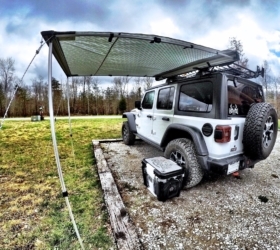 Follow this uniquely colored JL Wrangler Rubicon build here.